We thought it would be fun to ask our teachers some personal questions so you could get to know them better. I have been teaching yoga for 12 years. 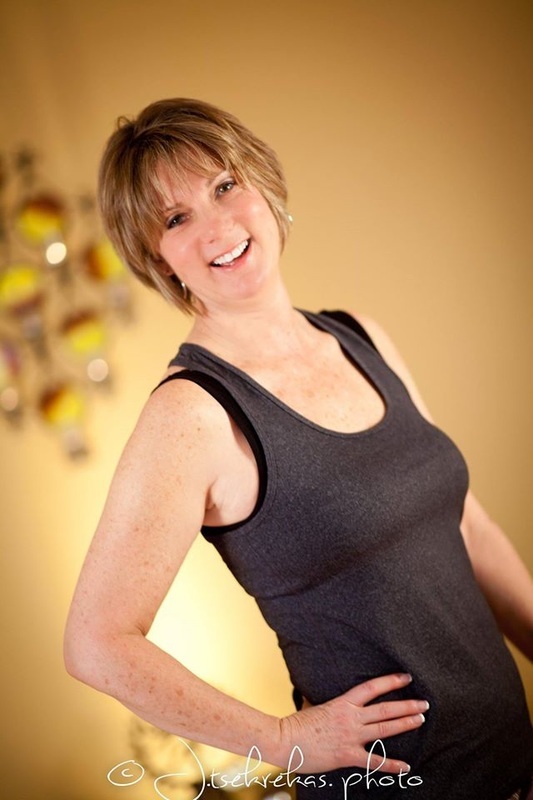 I started out as a personal trainer who taught one or two yoga classes at the fitness center where I worked. I quickly discovered how much I LOVED teaching yoga more than fitness so I made the decision to teach yoga full time and I have never looked back! I really don't think I can define my style! 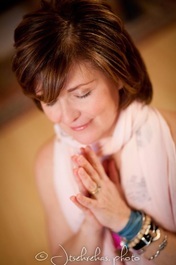 I have over 1000 hours of teacher training in all styles of yoga. I guess the best way to describe my classes would be "eclectic vinyasa yoga with a message". Oh and expect to laugh. What is your favorite song or artist to play during class? I love non traditional yoga songs that have a message. My theme song would have to be "Peace Train" by Cat Stevens, but I also love India Arie, Girish, Krishna Das, Sade, Lindsey Streling, Jewel, Bob Marley, Trevor Hall and of course MC Yogi. I am inspired by the Riverflow Yoga community of students and teachers. Each and every person who comes to the studio lights it up in their own unique way and I love the connections and friendships that have been created there. l get my personal inspiration from reading and I love to share what I am studying with my students. And of course, the practice of yoga inspires me daily. It keeps me grounded, humble, open and free. Yoga has taught me to see myself more clearly and breath by breath to grow into the person I am meant to be. Revolved Chair Pose (Parivrtta Utkatasana): What can I say I am twisted!! What is your favorite book on yoga/meditation/spirituality? "A Course In Miracles" which I have been a student of for the last 3 years. I have been teaching yoga since 2012 and practicing since 2008. Elizabeth always said the best way to get me to try yoga was to open our own studio. Thank God she was right!!! Style: I guess it would be described as Alignment Focused Vinyasa although my Native American name might be 'He Who Holds Pose Long Time' because it takes time to open and feel the pose. Inspiration: Seeing how much yoga has helped me in my life and in the faces of my students after class. My favorite song: Well that's easy. Anything by the Grateful Dead but I love most types of music especially when it is live. My favorite pose: It really depends on the day but if I have to choose one it would be anything with a bind, especially Bound Balancing Half Moon (Ardha Chandrasana). My heart feels open and you can't help but smile. My favorite book: Although I am not much of a reader I have two favorites: "Many Lives Many Masters" by Dr. Brian Weiss and "How Yoga Works" by Geshe Michael Roach and Christie McNally. The first taught me not to fear the unknown because this isn't the only life we will get. The second was a great learning tool on how not to judge others. My favorite quote: "Stress comes from not accepting reality" and "The ancestor to every action is a thought" both from a Dr. Wayne Dyer CD. My personal motto is: Dance like nobody's watching!!! Favorite lines from a poem from a 14th century poet named Hafez “This place where you are right now God circled on a map for you….. The beloved has bowed there knowing you were coming”- Keeps me happy in my present moment. My favorite quote is “What you think you become”--Buddha. My motto is - Any decision is better than no decision. Keeps me moving forward. I have been teaching yoga for four years. Style: I teach a stretchy, soothing, relaxing style of yoga that we refer to as "Unwind". But don't be fooled as there are poses for strength as well. I occasionally throw in a little Chi Gung and almost always a guided meditation in shavasana. I also teach children's and family yoga. 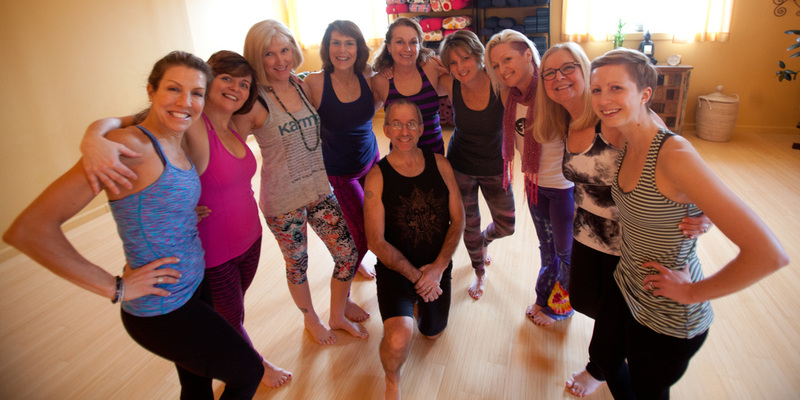 Inspiration: Being a teacher by profession (and really deep down in my soul) I found it a natural progression to share the art and soul of yoga with as many people as possible. My favorite song: Ever changing. Right now it's the Pure Ceremony CD by James Hood. My favorite pose: Triangle. I feel strong, balanced and centered in triangle. My favorite book: "How Yoga Works" by Geshe Michael Roach and Christie McNally. It is a beautiful rendition of the Eight Limbs of yoga told in the style of a long parable or fable. My favorite quote: '"Seas" the day!' Ocean reference intended! 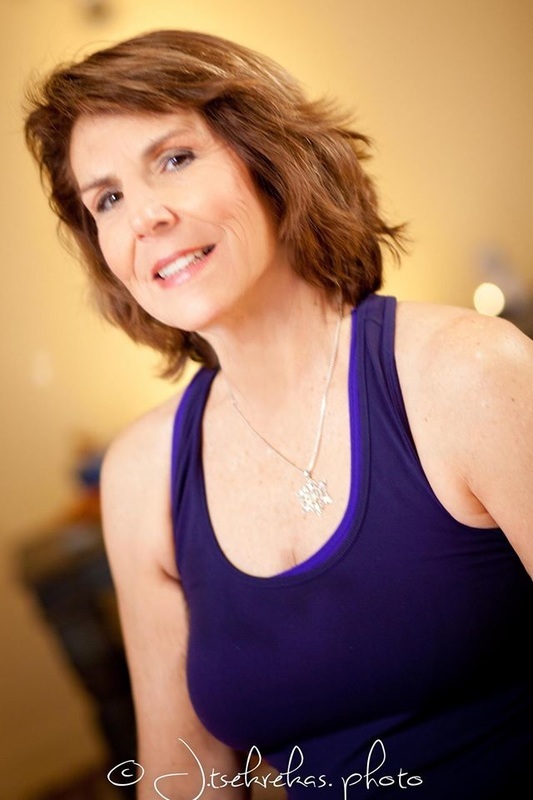 My personal motto is: You are as young as you feel and yoga makes you feel young(er)! Inspiration: My husband. 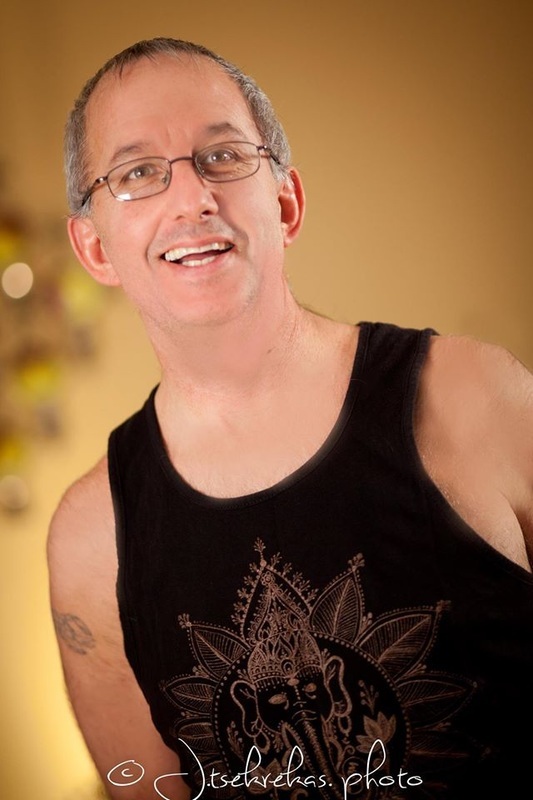 He took me to my very first Vinyasa Yoga class with Karen Kenney and I was hooked. Right then and there I knew I wanted more. Soon after that I had the great fortune of doing my 200YTT with the beautiful Elizabeth. The rest is history! Favorite Pose: Any pose that requires balancing! Personal Motto: Be fearless in the pursuit of what sets your soul on fire! Inspiration: The change I saw in myself after committing to a personal practice. Favorite quote: "Be gentle with yourself. You are a child of the universe, no less than the trees and the stars. In the noisy confusion of life, keep peace in your soul." Style: All styles, but I specialize in gentle, slow flow yoga and meditation. Absolutely expect that you're going to have fun and LAUGH...life is serious enough, right?? ; ) Oh, and a cool playlist. I'll sneak some good rock into a class every chance I get. Expect to relax and feel amazing as well afterwards. Favorite song: Too many to name; I have about 60 playlists in rotation!! Inspiration: A message I received in meditation, but also how people can heal themselves with yoga. Favorite quote: "Life's most difficult journeys are often traveled alone." Personal Motto: It's what I say at the end of every yoga class; "...may we all know love, may we all know peace, and may we all know who WE truly are." Style: All levels Vinyasa, gentle. My focus in teaching is breathe awareness, modifications in poses, humor and having students leave the studio relaxed with a smile on their face. Favorite song: Keep Breathing by Ingrid Michaelson. Favorite pose: legs up wall to many benefits to write but trust me it is a definite must do pose daily. Favorite book: "Light on Yoga" by B.K.S. Iyengar it is my go to book for spiritual and pose reference. I have been teaching yoga for three years. Style: Vinyasa flow, You can expect to flow in my class. My goal is to make you smile, feel good about coming to yoga and leave wanting to come back again and again. Favorite book : "The Four Agreements" by Don Miguel Ruiz. Favorite quote: Kindness in Words Creates Confidence. Kindness in Thinking creates profoundness. Kindness in giving creates love. Lao Tzu. Motto: Be kind to yourself in order to be kind to others. I have been teaching for almost two years. Favorite poses are, Camel: looks beautiful, creates total vulnerability and I’m not even close to mastering it. Personal Motto: I believe that many of us know someone on a personal level who is or has gone through the emotional/physical/spiritual struggles of some form of addiction. After receiving my 200hr and Y12SR certificationsI felt drawn to share my love of yoga and hopefully bring a little peace, compassion, and understanding to their day even if for only an hour.